Laura will work to clean up Springfield and make sure our government works for the people. 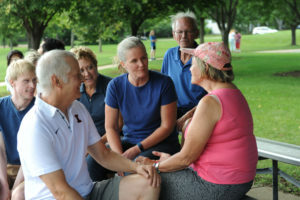 For our democracy and our government to work best and solve the problems we face, we need lawmakers who are accountable, we need elections that are fair, and we need to clean up Springfield and put it to work for everyday Illinoisans instead of career politicians and special interests. 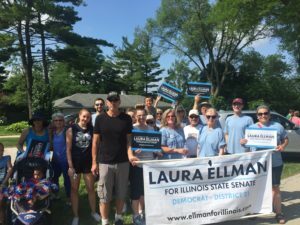 Laura Ellman will fight to clean up the mess in Springfield and get Illinois moving forward. Laura is committed to being an independent voice in Springfield to fight corruption and waste and get government working for everyday Illinoisans. Our legislators are out of touch. They care more about scoring political points, lobbyists, and special interest donors than about creating opportunity and a sound future for Illinois. For the first time since 2008, the 21st district has a real choice for State Senator, and an opportunity to shake things up in Springfield.